Asmahan is a professional Egyptian belly dancer whose stage career has spanned twenty years. She has danced in the most prestigious night clubs and five star hotels in the Middle Eastern show business world. 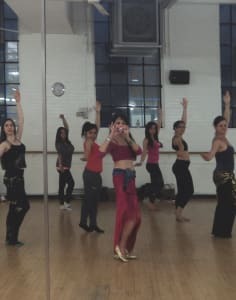 Asmahan is teaching Egyptian Belly Dance in London. She is able to combine the knowledge from her teachers with her professional experience of dancing on stage and is in an excellent position to teach others to dance. 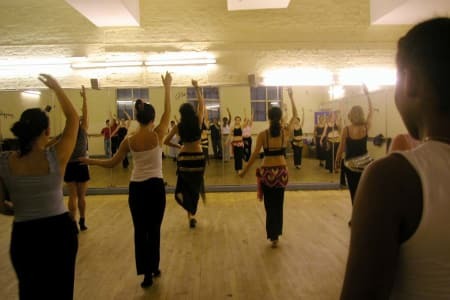 Asmahan’s belly dance class in London is held at the famous Pineapple Studios in Covent Garden. She has worked with the most famous dancers, singers, musicians, and composers of Arabic music. She has been able to learn directly from the stage in addition to training with the most respected Raks Sharqi teachers. Asmahan is renowned for her costumes and has designed and made her own costumes throughout her career. She has done selective design work for movie stars. She created all the costumes for her production shows in Cairo and for her film. 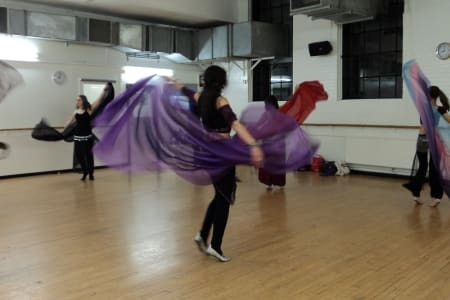 Her extensive experience within the Arabic culture has prepared her to teach Authentic Middle Eastern Dance as one would see at weddings, night clubs, hotel floor shows, folklore performances, parties or theatre. Her ambition as an artist is to honor the traditions of the dance as it exists in the Middle East. Asmahan has produced a dance film which was shot on location in Cairo. This is an Egyptian Dance Fantasy set to a score of original music recorded in Egypt. The style is an avant-garde rock video format with flashback scenes of dancers from various romantic themes of the past and future..
Really well explained, easy to follow. Thank you so much, will definitely be back next week! It was good. A new experience.